Hey friends, I know that I just did a Trader Joe's post, but this is important! 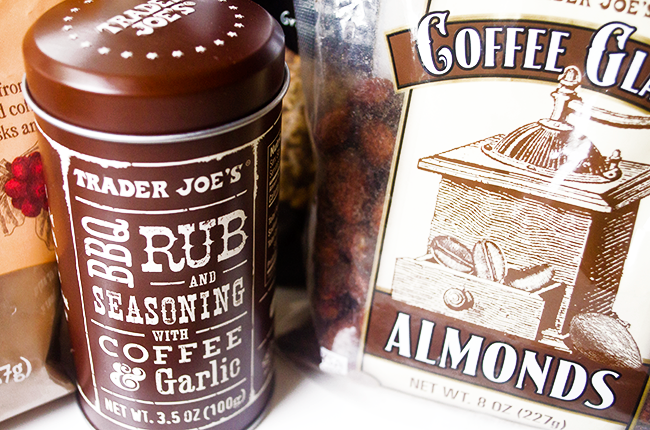 Last month Trader Joe's unrolled their coffee season which features a ton of coffee flavored vegan products. As you know, I'm a coffee fiend so obviously, this couldn't go without my input. 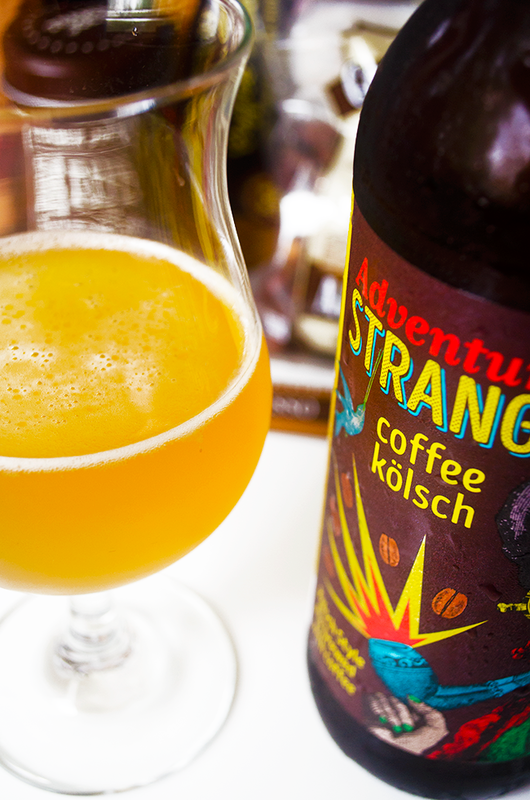 This beer surprised me - it was lighter than I was expecting, but it definitely tasted like coffee. I really liked it! It's earthy and roasty, but also refreshing? My husband doesn't like coffee (I KNOW) which is a bummer because I think he would have enjoyed this too. It matched all his beer likes except for the coffee part. It was pleasant to drink and it sort of answered the age old question "Is too late for coffee or too early for beer?". See also: Oktoberfest Butterscotch Milkshakes - Inspired by Harry Potter! 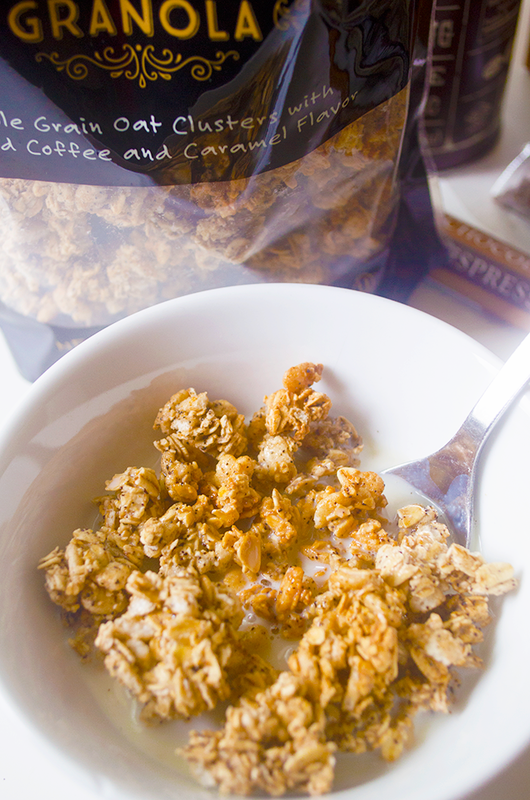 This granola is incredible, you guys. 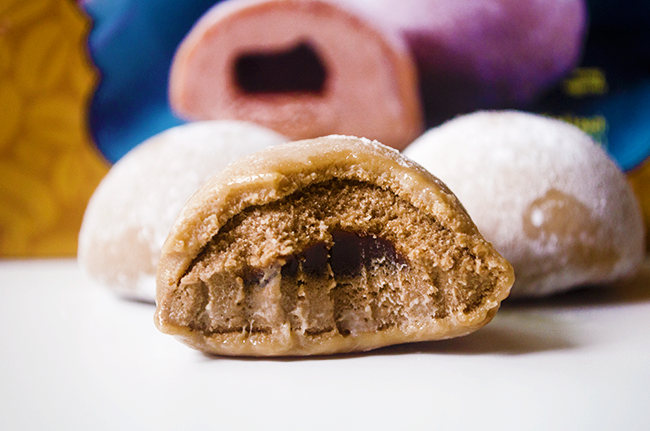 It's sweet, and filling and full of coffee flavor. Eating it with milk gives it this very latte-ish sort of feel. This is my favorite product in this series, and that's saying a lot because y'all know how much I love coffee. The only downside is that it's seasonal, and according to the website it's gone when it's gone. I grabbed the last one in my store on my last trip. If your store still carries it, don't wait! Grab some asap. I love mochi ice cream so so much. My favorite restaurant in town, Michi Ramen, serves mochi as a dessert, and everytime I go in I'm hoping to see that they've added some vegan options to their mochi menu. No luck so far, but that's ok because I can just enjoy these when I get home. This jar was a little but smaller than I was expecting (8oz), but the price is still right considering these things can get really expensive at other stores like Lush. I was really excited to try this having recently done a post of my own featuring a Cocoa + Coffee Body Scrub. I wanted to see how it compared. 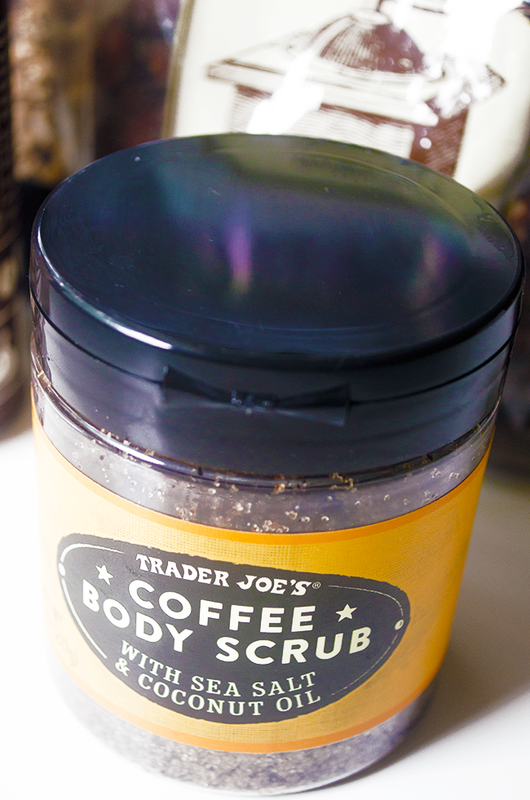 First of all, Trader Joe's coffee body scrub makes me feel better about how messy my homemade version is. I guess it's just the nature of these things. Second of all, while I liked this product a lot, I didn't like it enough to replace my homemade scrub. While mine smells purely like coffee and chocolate, this one is a little more floral. That sounds strange, but it works. It smells really good - just different. The other thing is that Trader Joe's scrub is a little more moisturizing which makes sense because mine contains less oil than theirs. This is a lovely scrub, and if you don't like making your own then you should pick it up. Otherwise, it's not so amazing that it blows homemade coffee scrubs out of the water. I was concerned about this product because while my husband really loves BBQ he does hate coffee. However, he agreed to try the rub and he ended up liking it. Thank goodness because I've really been enjoying cooking with it. There's something so inviting and summer-y about coating foods with BBQ rub, right? So far I've used it to coat homemade vegan bacon (we love this recipe) and the Unribs from The Homemade Vegan Pantry. It was so good, and worked perfectly! It's smokey, roasty, and savory, and I can't wait to find more uses for it. And when it's out, I may try making my own to store in this cute little can. I believe this is also seasonal so making my own may be my only option when it runs out! My opinion on these may not be fair because I 1)don't really like roasted almonds and 2)really don't enjoy sweet roasted almonds. I don't know, I guess I'm weird! 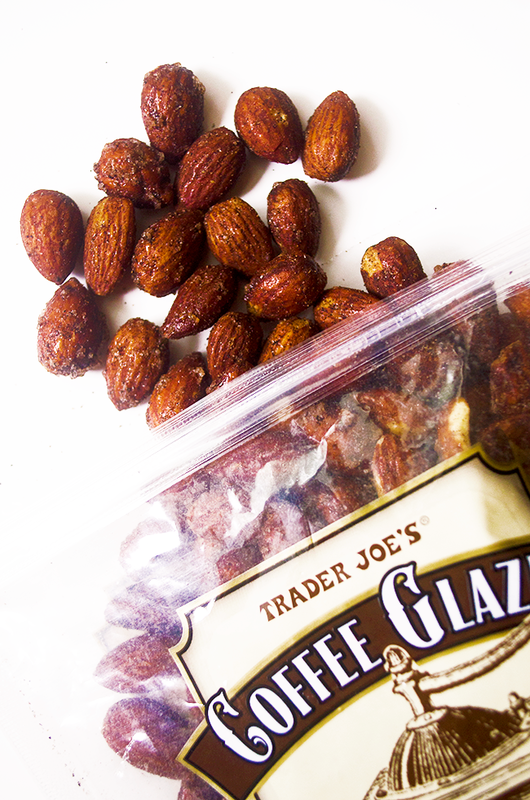 These aren't my favorite, but I can see how these would be good to those who do enjoy sweetly roasted almonds. 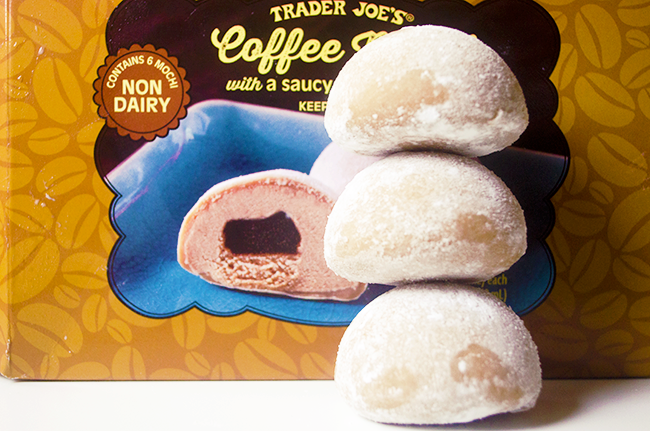 They're truly coated in coffee (yum!) and sugar with just a touch of salt. The coating flavor is right on, but then the almond comes in and kind of ruins it. Give me a raw almond over roasted anyday! 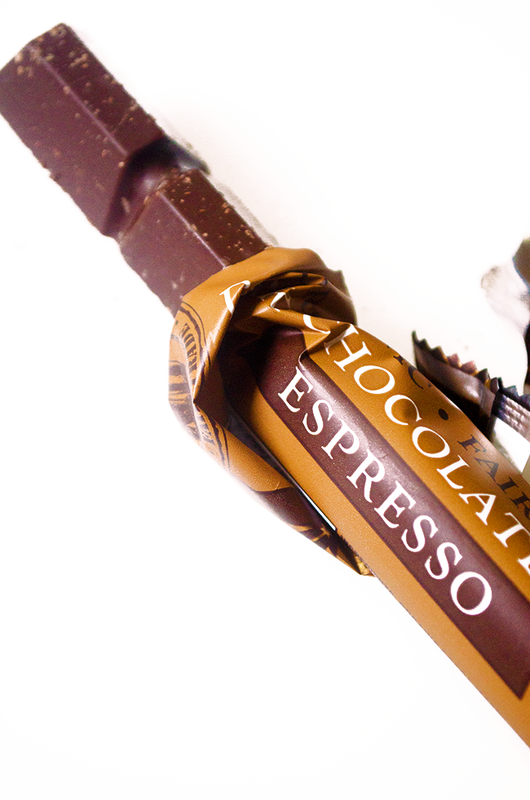 We love Trader Joe's Chocolate Batons in our house. It's like the least expensive and easiest to come by fair trade chocolate ever. Plus they're easy to break into shareable pieces and they're really delicious. This was my first time trying the espresso version, and it's so yummy! The coffee flavor is very prominent thanks to the actual coffee beans inside. That little fact also made this chocolate a great little afternoon pick me up. I didn't know what to expect with this flour. I found many sweet recipes using coffee flour, but for my first recipe, I decided to alter my go-to focaccia. 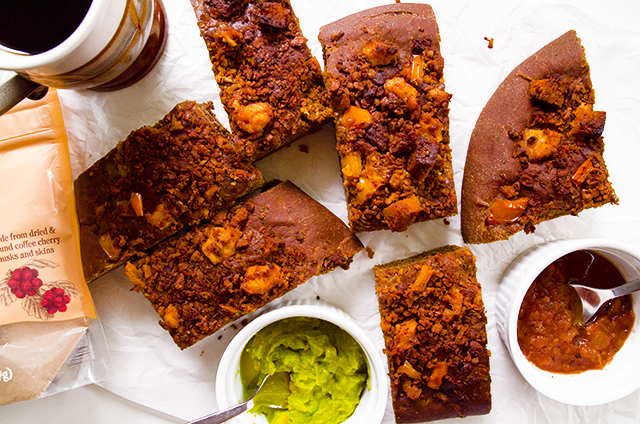 I was inspired to make a Tex-Mex Breakfast Focaccia made with coffee flour because, well you know, coffee. I'm so glad I went this route because the result was really surprising. I read that you could substitute 10% of all-purpose flour with coffee flour without super affecting the structure of a yeast bread. I had also read that coffee flour doesn't leave a bitter or coffee flavor when baked so I was concerned that 10% wouldn't be enough. Turns out that that concern was for naught. 10% was perfect if not a little too much. The coffee flour gave the bread a pleasantly bitter depth like a nice dark European bread. The focaccia tasted like it was made from a mixture of different grains and was built from a cared-for starter. 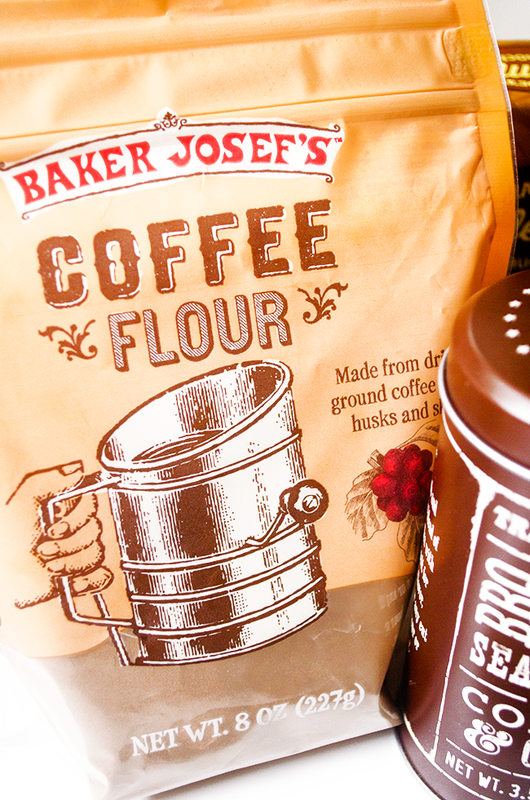 It was a great little discovery, and I'm so excited to play around with this flour. The fact that it provides that kind of flavor with minimal work and ingredients is going to come in real handy. Sadly, the coffee line includes more non-vegan items than vegan ones. Steer clear of these products, they contain either milk, eggs, honey, gelatin, and/or confectioner glaze. This product was featured, but I didn't review it because I've had it before and sadly wasn't a fan. One of the benefits of cold brew is that it isn't bitter, but this one weirdly was. It's possible that I got an off batch, but I wasn't in the mood to test that theory. My store doesn't have these in stock so I didn't get a chance to try them. Did you? Were they good? Actually, don't tell me. I'm very susceptible to FOMO, as you probably know. 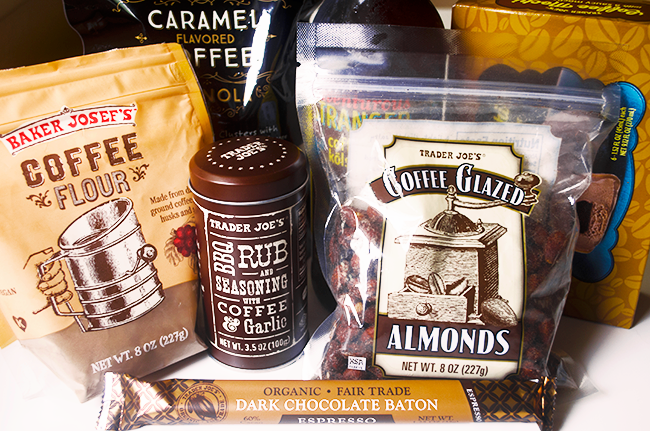 As a coffee obsessed person who loves to eat, I'm really enjoying Trader Joe's "carnivale of coffee" (their words). It bodes well for whatever they decided to feature this summer. Last year it was all mango which I liked fine, but it wasn't very popular among the Trader Joe's blogs. We'll see! Let's be friends! Follow HV on Twitter,Facebook, Google+, Pinterest, Bloglovin' & Instagram!